Fairfax Media is an innovative and digitally progressive media company in Australia and New Zealand - the trusted voice informing, engaging and entertaining audiences and communities via newspapers, websites, radio stations, events and dynamic digital venues. We drive conversations that matter and create connections that count. Sign-up to receive the fortnightly email newsletter. 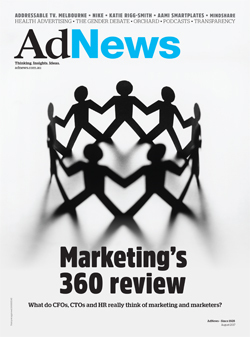 AdNews is Australia's most established and reputable advertising, marketing and media publication, having reported on the industry for over 85 years.